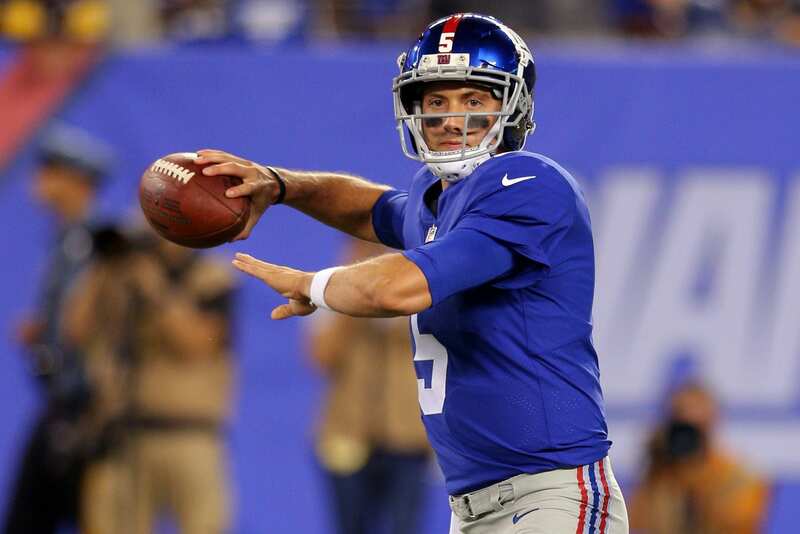 I want to take a step back and ‘REALLY’ take an in-depth look at New York Giants‘ quarterback Davis Webb. I had the privilege of speaking with Webb’s off-season trainer. Former professional and 2x NCAA All-American QB, Tony Racioppi. Now, before we dive in, we can say that UCLA’s Josh Rosen is arguably the draft’s top rated quarterback and is heavily linked to the Giants. The question is: Should the Giants use their No. 2 overall pick on him? This narrative makes no sense. Geno Smith spent a majority of the season as the Giants’ second-string quarterback while Webb developed on the practice squad. He had zero reps with the starting unit, so why should he be tossed out to face Khalil Mack and the Raiders. Let’s also mention that the offensive line was awful. Webb would be looking to showcase his abilities, and attempting to do so with no protection or receivers is pure insanity. But, now we don’t have any game-tape of him, right? Correct, but you don’t need game-tape to prove physical abilities and technique. Hey, why can’t Davis Webb be just like Garoppolo? Because he also learned behind a Hall of Fame quarterback too. The man earned a $137.5 million contract for playing less than a full season of football. Garoppolo was an average quarterback with a 60% completion rate (average) in college until his final season. In his last college season, he lit up the league, throwing for 5,050-yards on 568 attempts. His TD-INT ratio was 53-9. Jimmy G. was drafted in the late second-round (62nd overall pick). Davis Webb stats: 4295-yards, 61.6 completion percentage, 37-12 TD-INT ratio. Disclaimer None of the following clips and/or videos involve any (in-game) tape, which is noted. Here’s a clip of Davis Webb working through the play-action in a simulated circumstance. Webb steps up in the pocket to deliver a perfect strike 70-yards down the field. The play develops in eight seconds, a bit longer than you’d want, but it’s a relaxed practice over all. The footwork is the main point here and his movement up into the pocket. He has obvious athleticism, and his release time is no more than a a third of a second. Notice how his feet are always pointing where he’s intending to throw the ball. He releases the ball with his left foot pointing towards the left-middle of the field to ensure his receiver stay in bounds and can use his 4.3 speed to track it down. Watch as Webb drops back from under center, locates his receiver, points his body, and throws a perfect strike to the boundary. Having your head and shoulders aligned with your throwing motion is the purpose of this drill. A major point in this clip is the fact that Webb stares down a potential linebacker in the middle of the field, quickly resets, and throws a strike to a receiver running to the outside. That’s a 30-yard pass if you consider the length to the sidelines. It takes less than three seconds for him to begin his throwing motion and deliver the ball to his receiver 30-yards away. This isn’t from a beat writer folks, this is from a former professional and current quarterback coach at all levels. Lately, I’ve noticed a lot of people breaking down Webb’s college tape to justify their reasoning for giving up on him. How many days per week does Webb train in the facility to hone his craft? Consider this for a second: Teachers take entire summers of from teaching because their ‘season’ is over. Now, athletes are forced to train to maintain their body, but Webb spends a majority of the week ensuring that he’s only improving, even on the offseason. “Obsessed” is the key word here. The new regime for the Giants insisted they would only retain players that loved the game and were passionate about their job. Webb is a student of the game, and seems to have a work ethic that we have only seen in All-Pro players. This clip isn’t anything special or out of the ordinary, but there’s one thing I want to touch on here. Watch this a few times and think about Eli Manning’s drop back… It seems to be eerily similar; from his footwork to his reset and delivery, it’s all very Manning-esque.